Living… with his family in Langley Falls, Virginia. While the Smith residence may look like a modest little abode, Stan makes sure to keep an arsenal of weaponry, bomb shelters and secret rooms tucked away for whenever he needs them. He likes to keep his AR-15, MK5 and MAC-10 firearms in the pantry, right next to the paprika. Profession… CIA agent. Stan spends his days protecting the country from al-Qaida and left-wing liberals – both fanatical groups who want to destroy his beloved USA. (In his mind, anyway.) Stan doesn’t care about political correctness; he’ll racially profile until the cows come home! Interests… guns, gas-guzzling SUVs, and former President Ronald Reagan. Stan is a staunch Republican – he believes in freedom, military dominance, and American exceptionalism. Relationship Status… married to Francine, who keeps the house clean and the kids in order. Stan likes a woman who knows how to keep things tidy, and even if Francine has a penchant for nagging, he still loves her. Personality… paranoid, patriotic, and trigger-happy. Stan prefers to shoot first and ask questions later, especially when it comes to matters of national security. He’s always quick to unload his Glock at the slightest provocation. He definitely cares about his family, but he doesn’t brook dissent even from them – and especially not from his hippie-wannabe daughter, Francine. 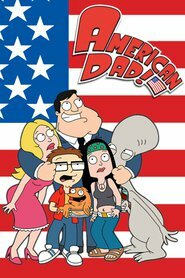 Stan Smith's popularity ranking on CharacTour is #3365 out of 5,000+ characters. See our top-ranked characters and read their profiles.